All the latest La Liga news in one place! 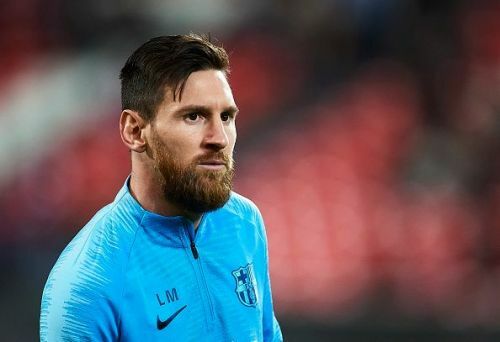 Barcelona are determined to keep hold of Lionel Messi until he retires and have offered him a new deal. Reports suggest that it is a 'lifetime' contract that will be renewed and stopped when Messi wants it to. Another first team player who has been offered a new deal is Jordi Alba. The left-back is desperate to sign a new deal and has been publically talking about it for months now. “Jordi Alba’s future? He wants to stay here, we have offered him a new contract [for] over five years and I hope that those discussions will be successful,” said Bartomeu. “Ernesto Valverde? I believe he will stay here, this is only his second season at the club but he is aiming to win everything with us. He has trust in the players here and in turn, they and I have trust in him to lead the team. Even if we win no trophies he will continue with us,” added the club president. However, reports suggested that Los Blancos were indeed looking to sign a long term replacement for him in the summer. Mauro Icardi was their top target as per reports but Santiago Solari has blocked the move. The manager feels that he will not be suitable for the system and thus wants the club to not sign the Inter Milan striker. Icardi's release clause still stands at €110 million at San Siro. Timo Werner is on the verge of leaving RB Leipzig and clubs are slowly showing interest in him. The German is entering the final 12 months of his contract and the Bundesliga side have made it clear that he will be sold unless he signs a new deal. Liverpool were said to be the ones leading the race but reports in Spain suggest that Werner wants to join Barcelona. The striker is keen on playing with Messi and with the Catalan side looking for a long-term replacement for Luis Suarez, the move might just happen.